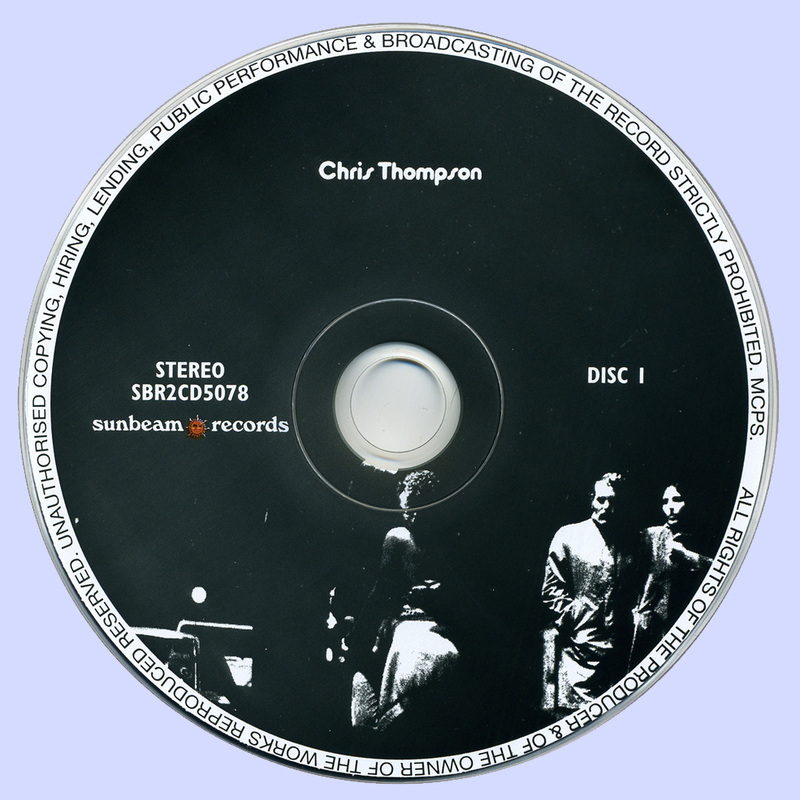 Chris Thompson is known for his work as the lead vocalist and guitarist on many hits with Manfred Mann's Earth Band, including “Blinded By The Light,” “For You” and “The Mighty Quinn,” as well as being a noted songwriter himself with hits across the globe. 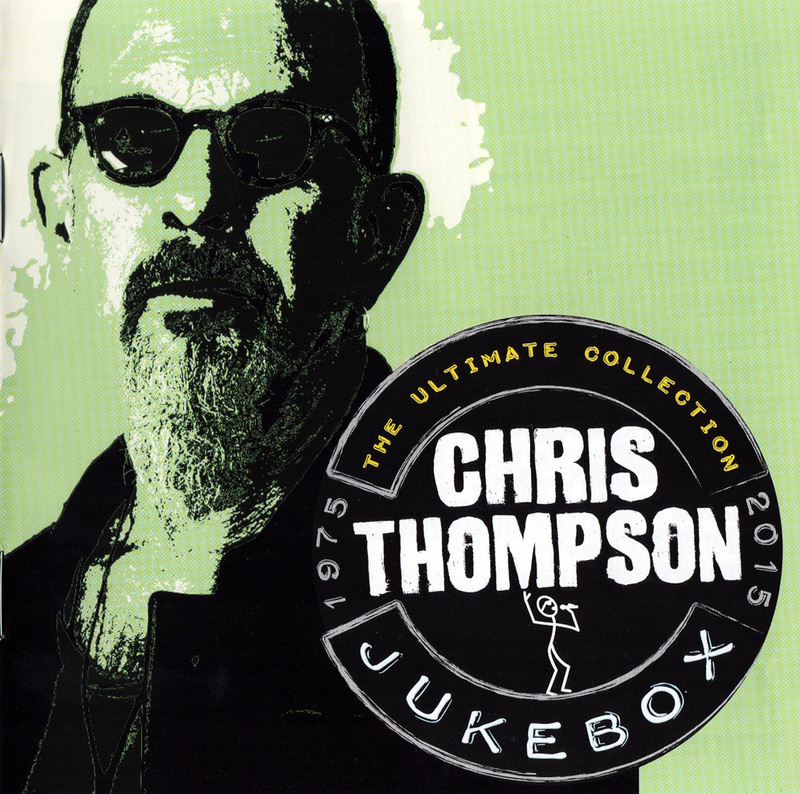 Jukebox: The Ultimate Collection is a 2015 remastered compilation of material from the man’s career, spanning Manfred Mann and beyond. “Dark Side” is a good opener but with a more-than- banal lyric that really can’t be forgiven. “Father of the Day,” “Hot Summer Night” and a slinky drawn-out organ-led cover of Springsteen’s “Spirits In The Night” provide some spirited live moments. The cover of “For You,” the other Springsteen song, is a magical highlight with Thompson in lockstep with an enticing piano on a more subdued studio track. Live and expansive, Manfred Mann “Martha’s Madman” has a mostly a straight ahead beat as Thompson handles all its twists and turns. The 50s styled “Eddie Wants To Rock” has Thompson’s hoarseness actually serving the song well, while Mavis Staples duets with Thompson on “The Fire.” An organ heavy live version of “The Mighty Quinn” features a decidedly heavier punch that the enthusiastic loudly clapping and singing audience seems to respond to even over Thompson not exactly making good vocally on the choruses. 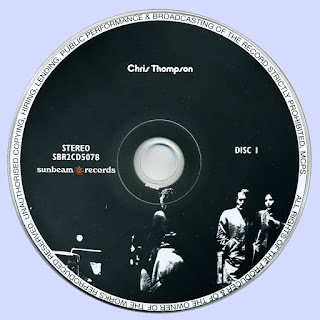 “Land Of The Long White Cloud” from the Chris Thompson and Mads Eriksen Rediscovery album is a super spirited song with a distinctive opening riff, wailing organ and Thompson rapping. An updated version of “Blinded By The Light” is here, and Thompson wails away on Marius Müller's beautiful ballad “Angel.” We also get “If You Remember Me,” Thompson’s piano ballad written for the remake of the movie The Champ. The inclusion of “You’re The Voice,” co-written by Thompson and a huge hit for John Farnham, proves an interesting inclusion. 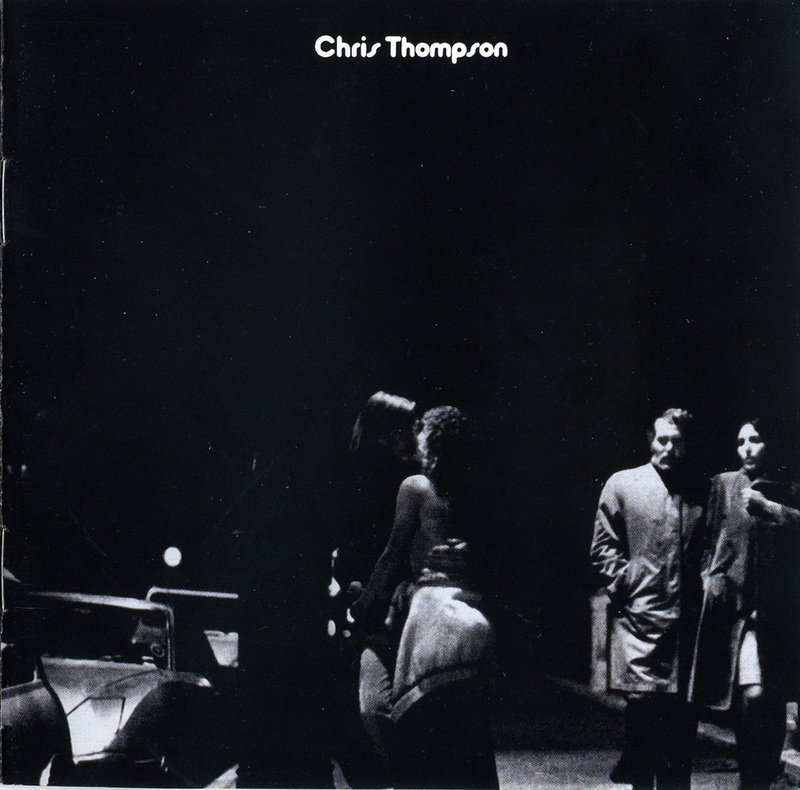 Throughout the set, certainly in those live moments, you often hear Thompson’s voice striving to hit the note. Hearing his take on “You’re The Voice,” you are reminded of Farnham’s unreal soaring vocal. 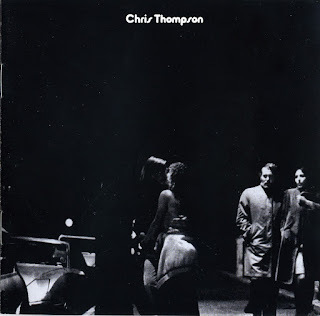 Thompson’s version, relying as it does on backing vocalists to deliver the refrain, still delivers, in maybe an even more down-to-earth soulful way simply because he does not have the pipes Farnham has. The universal solidarity message of the lyric comes across even better in a way. The remastered Jukebox: The Ultimate Collection sounds spectacular and covers a lot of Chris Thompson’s career. One spin and you won’t go away disappointed. 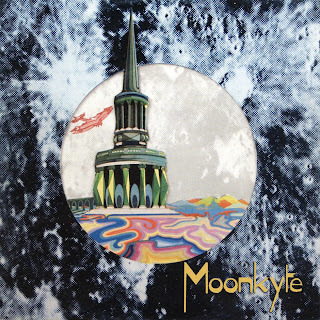 The story of Moonkyte could well be described as an acid-fuelled accident just waiting to happen or even a short career of ill-repute for those with affliction. The tale begins in Bradford, West Yorkshire, where Dave Stansfield managed a host of local bands. A favourite was blues band The Broomdusters. Local venues were loathe to embrace the blues in 1967 so, with his dear wife Chris, he opened a pub-based blues club just so the band could get a hearing. The club, Bluesville, grew into a nationally renowned venue attracting artists such as Alexis Korner, Keef Hartley, Duster Bennett, Curtis Jones, Champion Jack Dupree, Jo-Anne Kelly, Chicken Shack, Black Cat Bones, Stefan Grossman, Aynsley Dunbar and Fleetwood Mac. In late '68 and early '69 Chris and Dave started to book 'progressive' groups like Edgar Broughton Band, Juniors Eyes and Jethro Tull. They also staged large concerts at St. Georges Hall, Bradford booking bands like Black Sabbath, Deep Purple, Family and Free. It was then that Dave Foster strutted into the picture. He was younger than Stansfield but was sharp and had a natural wit. He was a guitarist and harp player who'd been in a band with Richard Treece. Treece later found fame (or infamy) with Help Yourself, Deke Leonard and Man. Foster was a blues kid who developed into a blues man and an acknowledged expert in the genre. Stansfield offered him a job at £1.50 a week plus a percentage of takings at two new clubs in Leeds and Ilkley. Stansfield had been a full-time singer in bands in the early 1960s' and had always loved to write. He suggested that he and Foster should write some songs together. Their writing laboratory was Druid's Alter, a large rock that overlooked Yorkshire's Aire Valley. it was there that they began to indulge in regular un-holy communion with the celestial deities of sacramental substances. Mischief then appeared in the form of Dave Ambler, a whistle, banjo and sitar player, who had access to copious amounts of pure microdot mayhem. Wholesome doses were devoured with great gusto and relish. They were on a mission. They believed that they were serious spiritual space explorers probing and travelling far. They didn't even fasten their safety harnesses. Perhaps they should have. The three then transferred their ideas to tape at a small, local two track studio. The owner was somewhat apprehensive but persevered with an admirable sense of grace and dignity. With some tracks recorded that was it; or so they thought. 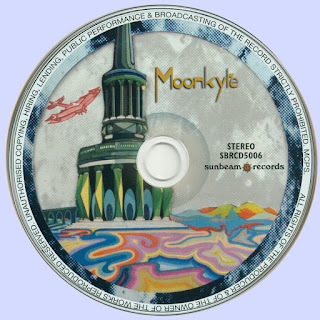 Fresh Garbage, a band that Stansfield was managing, won a competition for studio time in London's Regent's Sound Studios with eventual Moonkyte 'producer' James Spencely. He thought they were utterly useless but Stansfield slipped him a tape of the songs recorded by the "three musketeers" and suggested he get in touch if he liked it. A couple of weeks later Spencely called Stansfield and asked if his band was gigging. "Our band", thought Stansfield. "What band?" With a smooth, slippery and silver tongue he lied to Spencely that they could hardly keep up with the demand for gigs and were going down a storm wherever they played. Lo and behold James invited the (non-existent) band to record some songs in his Denmark Street studio. Budding space cadet Mick Humphreys was quickly drafted in on drums as well as seasoned musician Trevor Craven on bass. They honed a bunch of songs with a blunt knife and tripped off to London where they laid down all the tracks for 'Count Me Out' in a couple of days. It was pure psychedelic fun. An assortment of wizards, witches and total strangers turned up to contribute to an atmosphere of serene madness. James Spencely was bemused and sometimes a little frightened. Stansfield, with the help of Foster, had worked out all the arrangements and effects but they were not involved in the final mix or editing. When listening to the finished product it became obvious that James had become somewhat unhinged by the whole excperience. He'd even drafted in the lead singer of The Fortunes to try to give some sense of earthly structure to a few harmonies. 'Count Me Out' was released in 1971 on the Mother label and was distributed by EMI. Unknown to the band BBC radio DJ Emperor Rosko was the label owner. Some have said that he was trying to jump on a John Peel bandwagon but if he was he failed miserably. John Peel, however, did write the extensive sleevenotes. He had a love of the North of England, particularly as his wife came from Shipley in West Yorkshire. 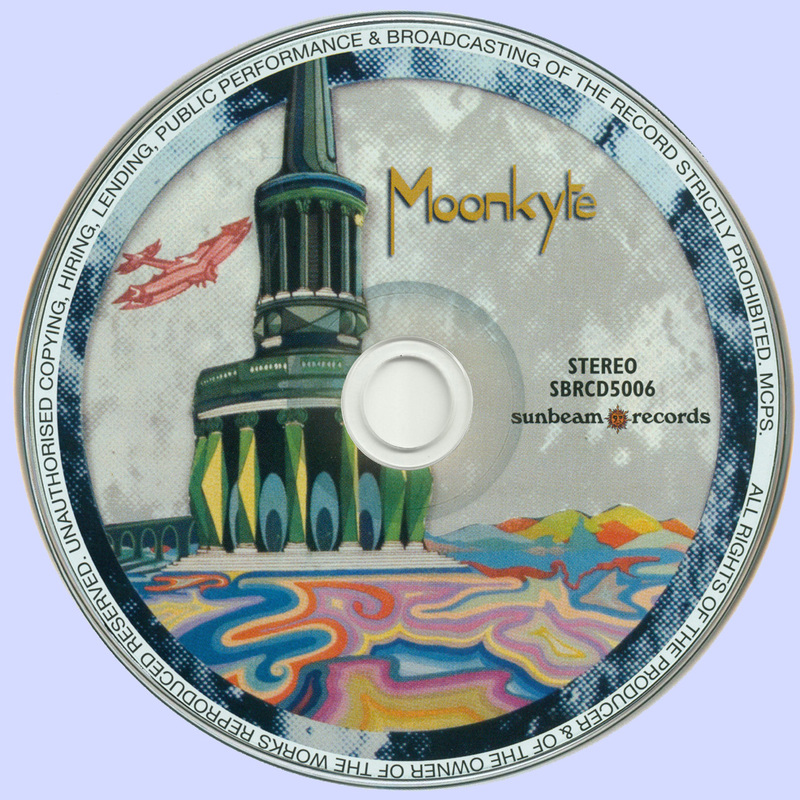 The lovely, and sadly missed, man played the occasional Moonkyte track on radio. He even played tracks by other bands for Stansfield's daughter Emma. Moonkyte didn't gig much following the release of Count Me Out. They sullied a few stages at open air festivals with their acoustic debauchery and headlined a few other indoor gigs. Not a good idea. Holding it all together onstage was not their speciality. It's hard to define Moonkyte music. It's often described as Acid-Folk or Psychedelic Folk but their influences were many. As Dave Foster comments. "At the time of the first LP all our influences were in place and jumbled up. They were packed away in our subconscious. A Pandora's Box was opened up with our pscychedelic experiences in a two track studio in Shipley. Both Stansfield and I were influenced by Black music and it shows on Count Me Out. There's a Delta slide on Blues For Boadicea for example and a lot of vocal links were cry and holler.The harmonium was also very churchy." This album, as a whole, is pretty damn good, and contains extraordinary moments. It's actually much better than many of the more recent rare-folk 'discoveries' that I have heard. It is, undoubtedly, tripped out. It was recorded and released in 1971 and even caught the attention of John Peel, who penned the original liner notes. Count Me Out is no exercise in mediocrity. It is heavily steeped in the gloriously drugged psychedelic folk scene of the time, along with some mild doses of rock awareness. There are dreamy backing vocals, occasionally devilish beats and rollicking, almost swanky, electric bass lines throughout. The album is, all in all, a strong effort, one much deserving of attention. Case in point: 'Girl Who Came Out of My Head', a song so good that I am amazed it has not popped up elsewhere (to my knowledge). This cut is the finest cohesion of what Moonkyte offers. All of the elements that are present over the course of the entire album are fully realized here. Between the swaying harmonium, rich, multi-tracked backing vocals and a striking, ethereal sounding female vocal making a brief appearance, we have a diamond here. Worth the price of admission alone. Luckily, you get more. The opening track, 'Search' gets the whole album off to a jumpstart. The harmonium and the backing vocals and the swinging bass line announce the tweaked-out trip you are in for. The album is, all in all, a strong effort, one much deserving of attention. 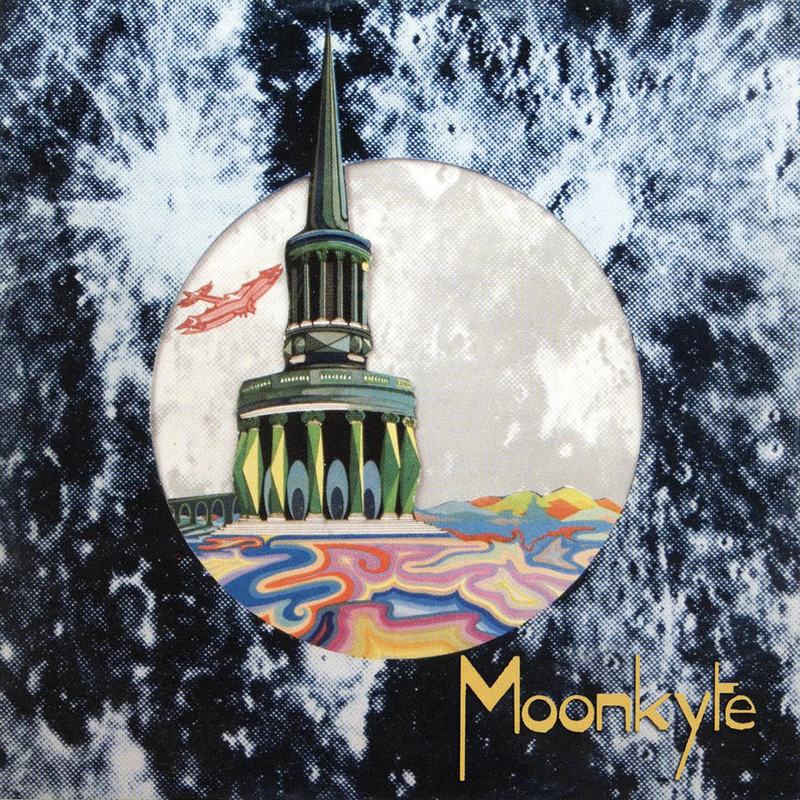 The wider discovery and availability of this Moonkyte album stands as a prime example of what good may still exist hidden out there, and reason enough to cautiously continue down the road with further psych-folk re-issues. All songs by Dave Stansfield except where indicated. I’ll make no bones about it – Family (1968 – 1973) was and still is my favourite rock band. A bold thing to admit, perhaps, but there it is. No other band in all of my rock listening years does it for me like these guys. They incorporated all sorts of musical styles, from delta blues to psychedelic excursions, from Jazz to symphonic, from hard rock to folk; the members of Family never ceased to challenge you with their very unique brand of rock music. 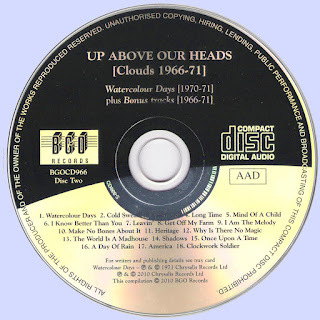 Roger Chapman (vocals, saxes) and John “Charlie” Whitney (lead and steel guitars) led a bunch of incredible British musicians (who changed regularly) into what became an underground cult favourite on both sides of the Atlantic. Another thing I will say is that Roger Chapman is also my favourite Rock vocalist. Sounding like a mix of Rod Stewart and Joe Cocker (but in my opinion better than both), he roars and soars with a unique range and bleating vibrato that shakes the roof – you have to experience this voice! Composing nearly all the songs for the span of their existence, Roger and Charlie were at the top echelon of writing duos, alongside Jagger and Richards. Another bold claim, but a listen through the Family catalogue at the unique and varied compositions might convince you. At any rate, in 1973 management issues among other things resulted in the dissolving of Family, leaving Roger and Charlie to pursue life as a duo. So here’s where the Streetwalkers saga begins. As prolific songwriters, they had enough material to record a new album, and so they did. 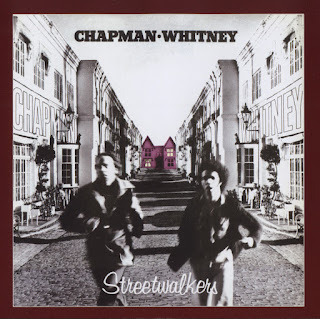 Originally titled Chapman-Whitney Streetwalkers, they called in some friends to augment them and here’s who they got: John Wetton – bass and vocals (Family, King Crimson Roxy Music, etc. ); Rick Grech – bass (Family, Blind Faith); Ian Wallace and Michael Giles – drums (King Crimson); Neil Hubbard – guitar (Joe Cocker, etc. ); Max Middleton – Keyboards (Jeff Beck Group); Tim Hinkley – keyboards, vocals (Vinegar Joe, Al Stewart); Jim Creegan – vocals (Family, Steve Harley); Linda Lewis – vocals (David Bowie, Cat Stevens, etc. ); Mel Collins – woodwinds, brass and arrangements (King Crimson, Camel and a huge etc. ); Boz Burrell – vocals (King Crimson), Poli Palmer – vibes (Family); Del Newman – string arrangements (Family); and Godfrey McLean – congas (Graham Bond). What an amazing lineup, no? 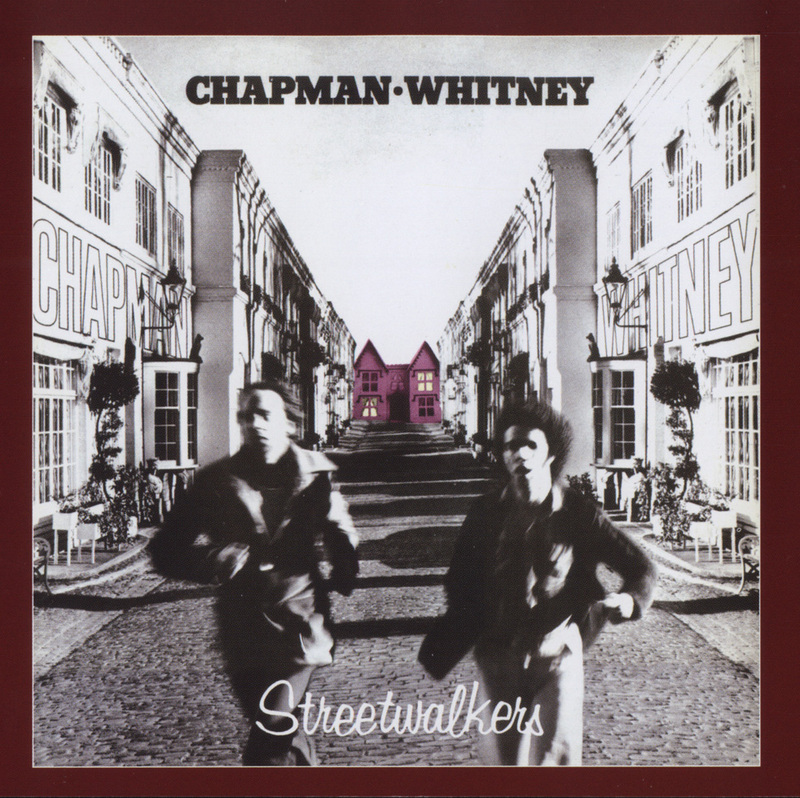 It speaks to the respect and acknowledgement that Chapman and Whitney garnered at the time. With this first CD release, Roger Chapman changed the running order back to what they had originally intended it to be, which is an interesting move. You can always reprogram your player to go back to the original order if you are curious or prefer it, but I personally think it is ok. The good news is all the songs are included here and there is more info available in the liner notes, which include an interview with Roger Chapman interspersed with an overview and history by Pete Feenstra. 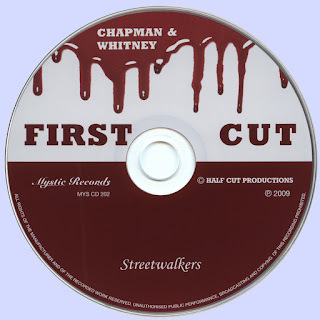 Now to the album: First Cut is the bridge between later Family albums, especially Bandstand and It’s Only a Movie, and the first true Streetwalkers album, Downtown Flyers. What makes the album great for me is that it can stand alongside the Family discs and really could have been the next one in the Family canon. In much the same way that the Stones shed their Brit/Pop/Mystical songs of the late 60s and moved back to their rhythm and blues routes, Chapman and Whitney had the same idea with First Cut and then moved to hard rock blues that followed with the rest of the Streetwalkers’ catalogue. First cut has the boys standing over the line between rock and blues, and the push and pull from one side and the other makes this such an enjoyable album. Hangman opens the album with a crunchy, hard blues, something akin to a souped-up and faster Spoonful – it really kicks out the jams. Add soaring strings to the mix (a Family trademark) and you have an original take on the blues with enough light and dark contrasts to give it an original spin. Roxianna features a honky-tonk rhythm complete with Mel Collins’ clarinet and Dixieland piano; it really swings and Charlie’s slide guitar weaves in and out to great effect. Sue and Betty Jean begins as a sad lament with organ but picks up the pace some with a Beatlesque melody with echoes of She’s Leaving Home. This is a perfect example of how, when Chapman and Whitney write and arrange, they incorporate all the instruments with a beautiful, intricate dance. With the guitar becoming more of a Wes Montgomery jazz style, it dominates this slow waltz of a song. A lot of their songs, like this one, also tell interesting stories and they should be noted as good lyricists as well. Call Ya has classic Chapman vocals, scratchy but in his higher register, simply a vocal treat. The song itself has that funky blues of Little Feat but with some chords that give you that real hard rock feel. Mel Collins takes over for a great sax solo here – he really wails on this one. This could have been an additional track on Family’s Bandstand for sure. This ends with a conga-driven jam that gets you tapping. Just 4 Men/Tokyo Rose, a two song suite (the original album also included Hangman, making it a trio but Roger felt it belonged at the start of the set – see liner notes), begins with spoken word and a dark, flute and string driven remorseful sounding theme. The song brightens a bit with the flute joined by Charlie’s expressive guitar lead and then Tokyo Rose begins with a hard rock attack, back to the Hangman approach. The track grinds it out down and dirty, complete with a chorus of shoops courtesy of John Wetton and the others, and then another deadly Mel Collins solo overlays it all until it fades away. Creature Feature begins with thunder and rain and a cool underground boogie and Linda Lewis singing alongside Roger and showcasing Charlie’s great slide guitar work. The song chugs along then the strings come in to add further impact, extending the song to further showcase the guitars. Interestingly, the strings sound very similar to Elton John’s arrangements on Madman Across the Water. Parisienne High Heels, another rhythm and blues powerhouse, with a Foghat-like guitar attack and an almost gospel-like vocal background, brings southern rock to the fore. Roger Chapman’s vocal here really screams, soars, teases - he is in perfect form. The track really rocks out until it fades in an odd echo. Systematic Stealth is a quirky little song which could be totally acoustic – a pleasant summer-sounding, joyous folksy pleasure - a pleasant rest from those nasty, hard blues. Showbiz Joe ends the album with a vaudeville-like melody and a weaving horn section. But as in all Chapman/Whitney songs, it breaks open in places to reveal layers of intricate playing underneath. For Family fans, and I know you’re out there, this is a must have. If you loved Family, and especially Bandstand and Movie, then this will totally appeal to you. If you are new to any of this, and you like boogie and Chicago style blues, with the right mix of rock and roll and great vocals, then I think you will like this album a lot. 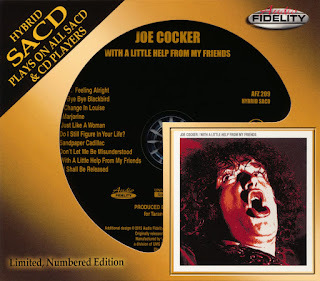 I can say that if you are a fan of Joe Cocker’s early albums, then this is a no brainer. Beyond this, the Streetwalker albums that followed, where they had a permanent band throughout their existence, are even punchier, heavier and bluesier overall. Try Red Card and see what you think. And I guess I don’t have to say that I hope you will be curious enough to try Family out – you might find that it becomes a major favourite as well. 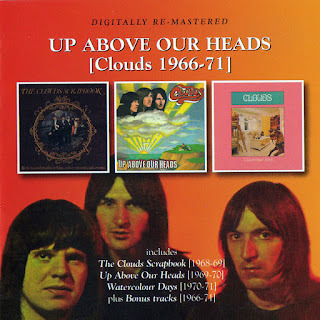 Straddling the line between vocal pop and all-out prog explorations, Scottish rock trio Clouds toiled over their complex compositions in relative obscurity before disbanding in 1971. Though probably not the first, on later recordings the band honed an intricate rock sound that relied on organ and completely eschewed guitar, making them an anomaly in the developing prog movement that was largely defined by noodling stringed instruments. 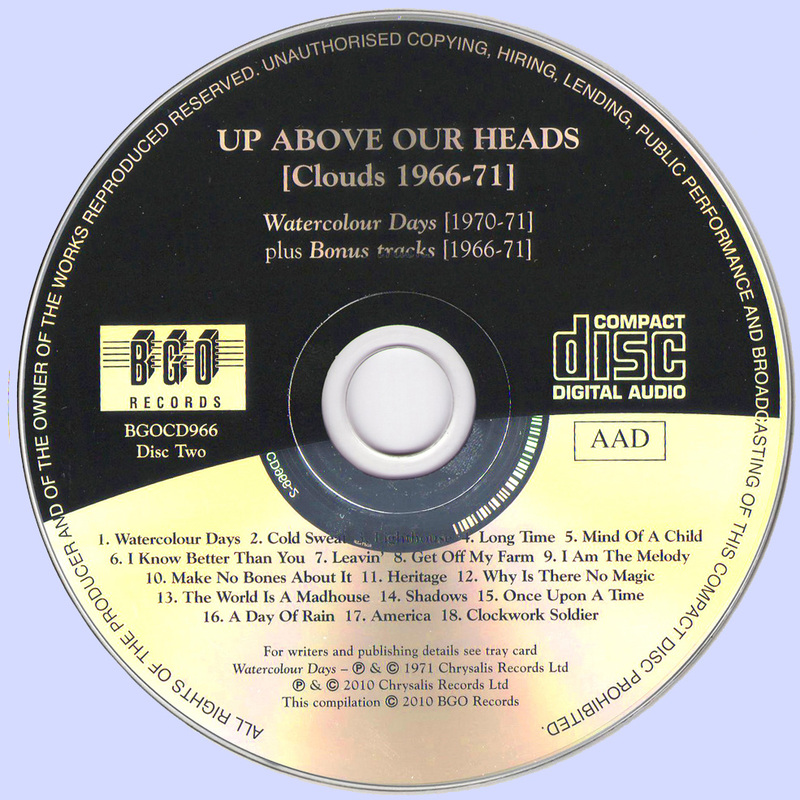 Up Above Our Heads: Clouds 1966-1971 includes all known work by the band, with U.K.-only albums Watercolour Days and Scrapbook and the U.S.-issued Up Above Our Heads, as well as demos and other unreleased material. The earliest material finds the band running through fragmented songs in decidedly different styles ranging from extended psychedelic freakout ("Sing, Sing, Sing") to after-hours jazz garage numbers like the woozy "Old Man." The gently crooned "The Colours Have Run" finds vocalist Ian Ellis toning things down with a full orchestra, achieving the same Chet Baker-inspired vocal melancholia that the Zombies and Scott Walker would find in their strongest moments of subdued beauty. On the second disc of the collection, the density and precision of Clouds' musicianship lends itself to the types of head-spinning progressive workouts that bands of the same era like Egg and Soft Machine were immersing themselves in. These heady compositions, however, were always tempered with a strong traditional songwriting sensibility. The Hammond organ-driven "Mind of a Child" delivers its antiwar sentiments like some pleasant hybrid of early electric Dylan and later-period Small Faces. "A Day of Rain," with its grisly baritone vocals, predicts Nick Cave with eerie similarity by about ten years. It's moments like these that make it a mystery why Clouds never saw mass appeal in their day. Bowie and Keith Emerson both championed the band during its existence, and the influence of Clouds could be heard later in Emerson, Lake & Palmer, the organ-heavy sounds of the Nice, and other followers. 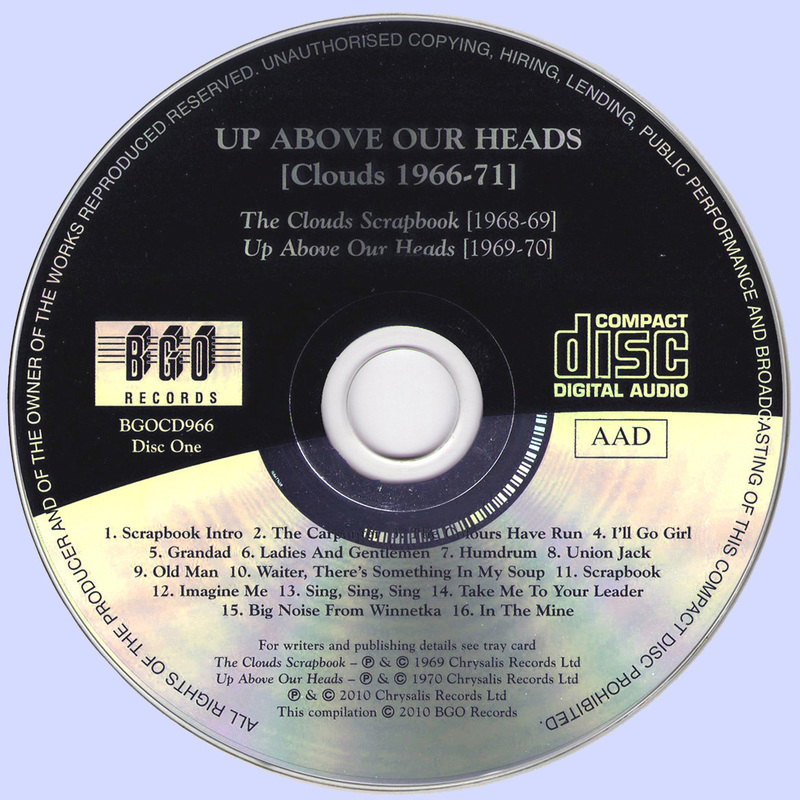 With the amount of tossed-off filler taking up space on records by established bands like Jethro Tull, the Moody Blues, and even the Kinks during the same time period, Clouds were crafting stronger and more interesting takes on similar sounds. Up Above Our Heads is another chapter of what may be one of the oldest stories in the rock & roll book: why wasn't this band huge? Weighing in at over two hours of music, this two-disc set may be a lot to take in at once. Clouds' strength lies in their almost Beatlesque level of varied sounds and successful experiments with different styles, and they are thusly best approached on a song-by-song basis. Riding a number of stylistic waves so well, it's a mystery why Clouds never really made it to the shore. 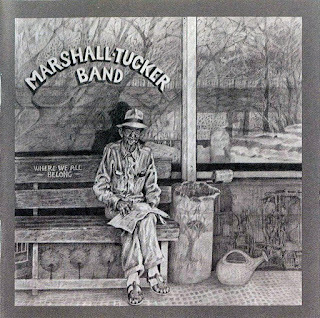 In 1974 The Marshall Tucker Band released "Where We All Belong "on Capricorn Records as a two LP set, one studio album, one live, this is the perfect Marshall Tucker Band record! Side one kicks off with what would go on to become one of Toy Caldwell’s most recognizable guitar licks, the intro riff to “This Ol’ Cowboy.” Written and sung on record by Toy, the song would later be performed in concert by Doug. 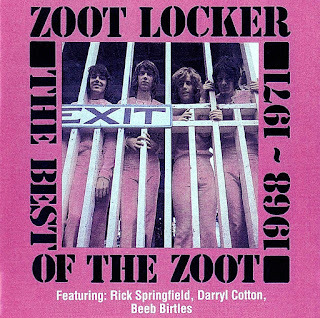 A Top 40 hit for the band, the song remains a Tuckerhead favorite. Next comes “Low Down Ways,” another great Toy composition that leads into “In My Own Way,” a classic country song featuring some of Toy’s excellent pedal steel guitar. Paul Hornsby contributes some fine keyboard work on this track and several others, adding to his already impressive job as producer. Side two begins with "How Can I Slow Down and moves into one of their 1970's concert staples "Where a Country Boy Belongs." The studio version is enhanced by a guest appearance by Elvin Bishop, burning up on his slide guitar. And speaking of guests, brother Charlie Daniels is all over the record, both in the studio and on the live sides, "sawing that fiddle and makin' it hot." "Everyday I Have the Blues", the B.B. King tune written by Peter Chapman, burns through the start of side four, with Toy displaying some of his hottest blues guitar licks ever etched into vinyl. The side concludes with a rocking version of "Take the Highway", the long time concert opener, and perennial favorite. With cover art by Jim Campbell, drawn from photos taken by George's brother, Chuck, Where We All Belong is nothing short of a classic rock and roll album. Excellent production and superior playing make this the definitive MTB album. *Charlie Daniels - Fiddle On "24 Hours At A Time"
In the spring of 1965, Vanguard Records released the album So Many Roads by blues singer John Hammond. It was the third album for Hammond, (son of legendary Columbia Records producer, John Hammond), and his second album to feature an electric band playing Chicago blues. For this album, Hammond chose to record again with the bass player from his previous album, Jimmy Lewis. Lewis was originally a string bass player who had worked with Count Basie and Duke Ellington before switching to electric for Sam Cooke and King Curtis. 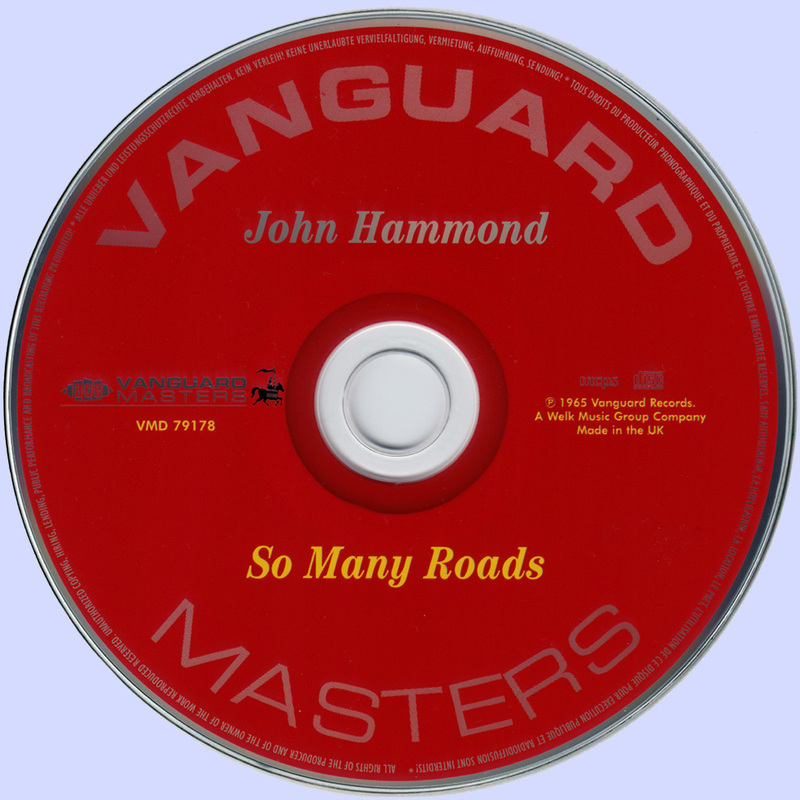 Hammond also chose three members of a band he’d been jamming with in Toronto and two up-and-coming musicians from the Chicago blues scene. 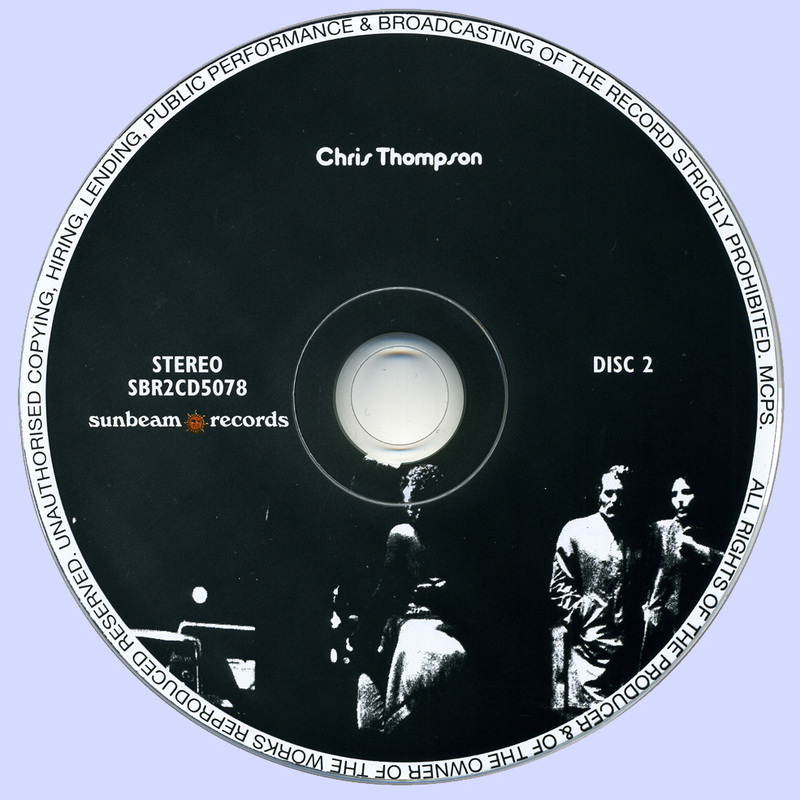 On the original album cover for the LP (not the CD) it says: John Hammond accompanying himself on guitar with C.D. 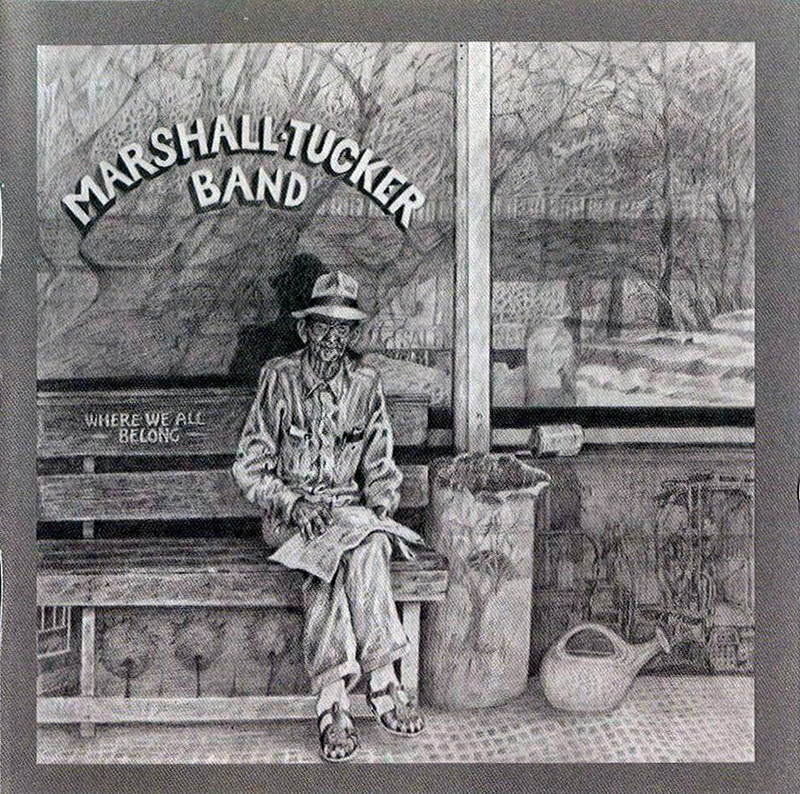 Musselwhite, harmonica; Jaime R. Robertson, guitar; Mark Levon Helm, drums; Michael Bloomfield, piano; Jimmy Lewis, bass; Eric Hudson, organ. The band from Toronto that Hammond had been jamming with was, of course, Levon & The Hawks. C.D. Musselwhite would eventually be known as Charlie Musselwhite and, not long after this album hit the stores, Michael Bloomfield - who, at the time, was already appearing on small label Chicago blues albums with various artists - would record "Like A Rolling Stone" and the entire Highway 61 Revisited album with Bob Dylan. So Many Roads was one of the records that led many people, including this writer, to dig deeper into Chicago blues and discover Muddy Waters, Howlin' Wolf, Otis Rush, Buddy Guy, Little Walter and Junior Wells, among many others. The music on So Many Roads is tough, loud and uncompromising. 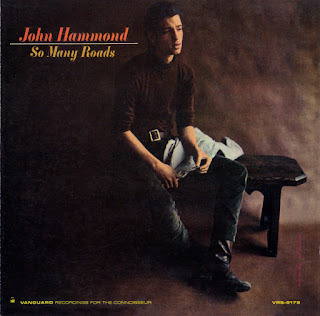 The reviews at the time thought Hammond went way overboard on the vocals and, probably, quite a few people still think that. However, I like to think he was just totally immersed in the experience, having a great time playing with a great band. Robbie Robertson’s guitar dominates the proceedings; but Helm, a Chicago blues drummer if ever there was one, is right there with him, while Hudson’s not-always-audible organ snakes around the songs in an almost spooky way. Unlike Bloomfield, who would play in speedy runs, Robertson played in short explosive bursts, going for sound and feel more than anything. Garth Hudson, meanwhile, is best heard on "Gambler’s Blues" and "Baby Please Don’t Go". According to some reports, as well as interviews, Bloomfield already knew about Levon & The Hawks and Robbie Robertson, and had offered to switch to piano when he showed up for the recording session. While Hammond is a fine harmonica player, Musselwhite instead provides harp to compliment Hammond's vocals, in the same way that Little Walter, Junior Wells and James Cotton did for Muddy Waters. A few months after So Many Roads was released, I attended Bob Dylan’s legendary concert at Forest Hills Stadium in New York City. This was his first full concert with a band backing him for the second set. The night was chaotic to say the least, with half the crowd booing. I didn’t even find out who the backing musicians were until the reviews appeared in the press a couple of days later, because the musicians were never introduced. When I found out that Robbie Robertson was on guitar and Levon Helm was on drums, along with Al Kooper on keyboards and Harvey Brooks on bass, my initial reaction was "Oh, the guys from the Hammond album." Dylan and Hammond were friends - take a look at the back of Bringing It All Back Home - and in the past 15 years, photos have surfaced of Hammond attending the recording sessions for Dylan’s album. It's interesting that, only three years later, when The Band released Music From Big Pink, Vanguard did not capitalize on this connection and rush the albums out with stickers saying 'featuring The Band', in the way Roulette Records did with old Ronnie Hawkins albums. In April 1969, Joe Cocker laid the groundwork for his ’70s stardom when he unveiled his debut album, With a Little Help From My Friends. For almost a decade, the Sheffield-born Cocker had been toiling in the trenches — first under the pseudonym Vance Arnold and later under his own name, fronting cult pub legends the Grease Band. In an era of self-contained bands and singer-songwriters, With a Little Help From My Friends bucked the trend in establishing Cocker as one of the most imaginative and distinctive interpretative singers of his generation. 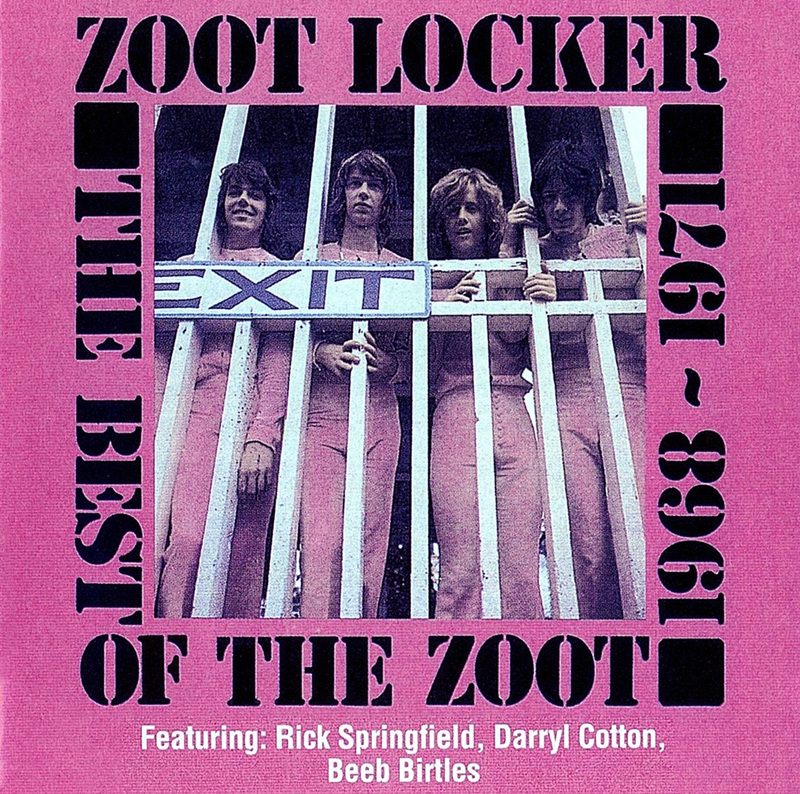 The album opens with funky piano chords ushering in Dave Mason’s Traffic song “Feelin’ Alright,” the first of many tracks that Cocker made his own with help from backup singers Merry Clayton (who also sang on the Stones‘ ‘Gimme Shelter’) and Brenda and Patrice Holloway. Around the same time, he also debuted his singular stage mannerisms, which he later genially spoofed alongside John Belushi on Saturday Night Live. 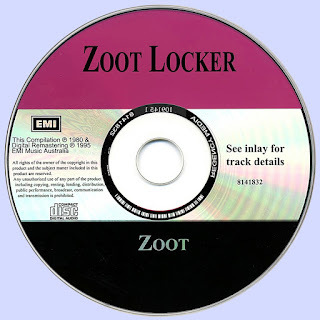 The album’s highlights showcase Cocker’s formidable vocal and emotional range, including a bluesy reading of the 1926 pop standard “Bye Bye Blackbird”; Bob Dylan’s “Just Like a Woman,” lovingly approached like a church hymn; and a sultry arrangement of “Don’t Let Me Be Misunderstood” that flipped the Animals’ famously angst-ridden version on its head. 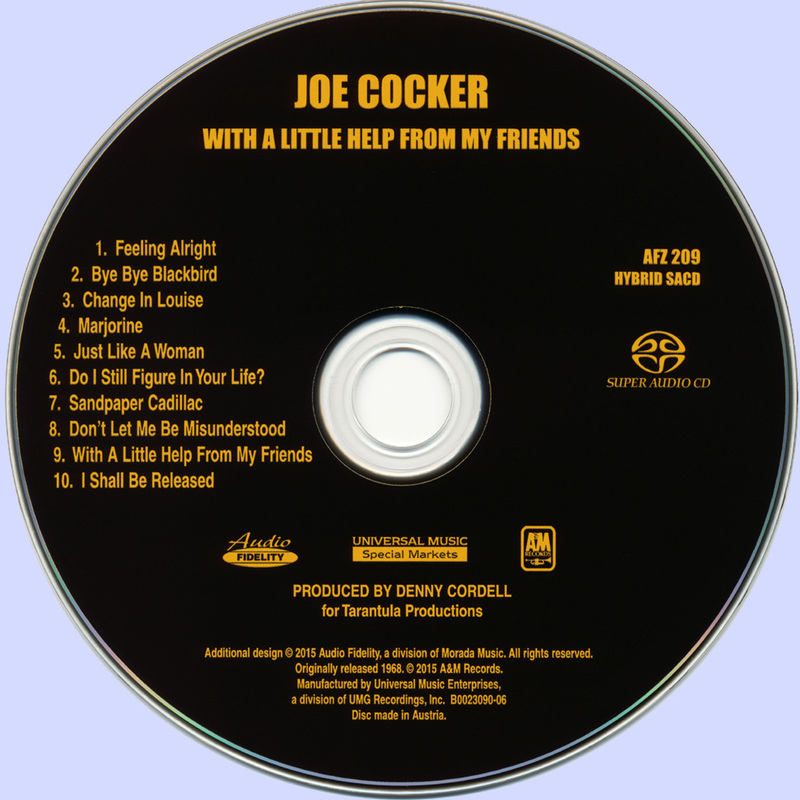 Cocker even threw some playful falsettos into “Marjorine,” one of two songs he co-wrote with pianist and fellow Grease Band alum Chris Stainton. And then there’s the title track, a rare reinvention of a Beatles song that’s better than the the original. 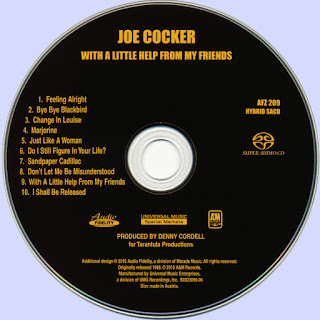 Cocker takes the lovely but rather staid Ringo Starr-sung cut and radically transformed it into a master class of soulful tension and release, punctuated by stinging guitars played by Jimmy Page. The following year, Cocker performed one of the most memorable sets at Woodstock, skyrocketing his fame and setting him up for an even more fruitful decade to come. 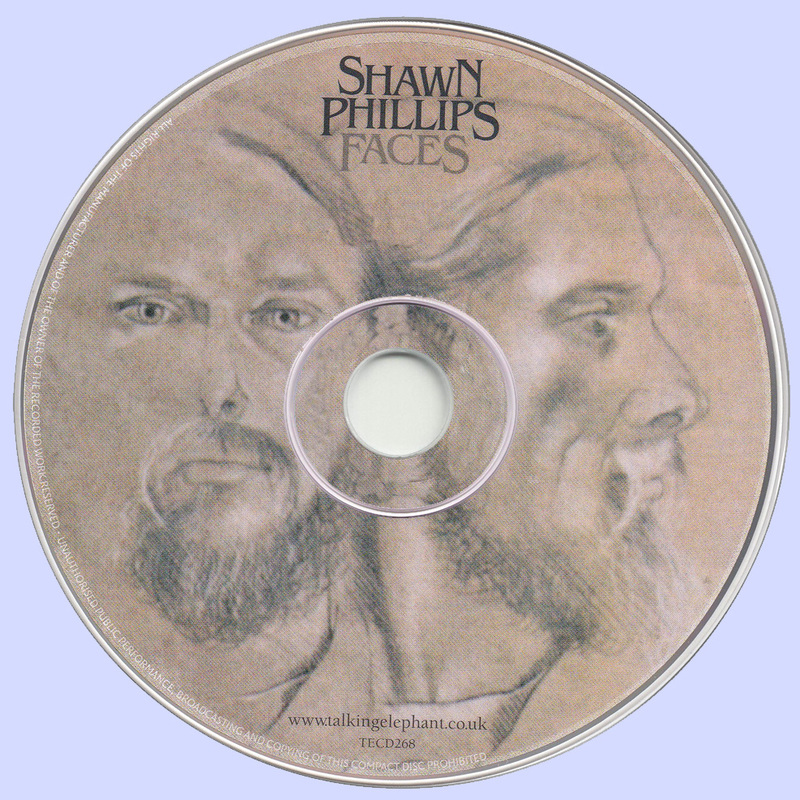 With 15 albums behind him since the mid-1960s, Phillips has a following, in America, Europe, and Japan, and he has performed at different world music festivals. A cult figure whose peers include Van Dyke Parks and, perhaps, Leonard Cohen (though Cohen's public profile is enhanced by his following, as an established poet and author, in the literary community), he remains an enigmatic figure on the music landscape. 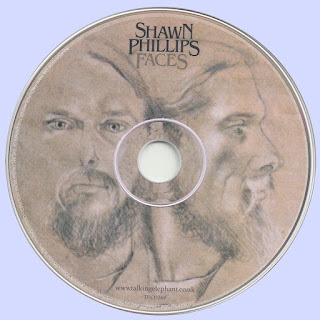 Faces is a very challenging and rewarding album, with some of the most driving songs Phillips ever wrote, juxtaposed with material even more ethereal than anything on Second Contribution. 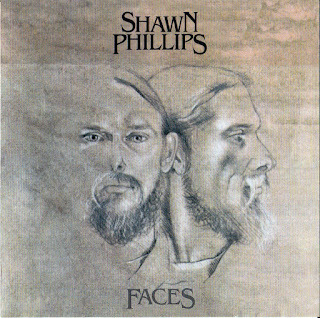 Faces shows Phillips working through music so soft and reflective that at times it almost seems as though it may break, balanced with solid electric rock, some of it with a topical message yet -- check out "I Took a Walk."